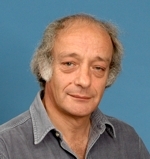 Graham Hall's main research interests lie in Mathematical Relativity Theory and Differential Geometry. In particular they are concerned with the mathematical structure of space-time, especially the connection, curvature and projective structure, and the study of symmetries in exact solutions of Einstein's equations. He is responsible for a relativity research group which normally has several high-quality PhD students and overseas visitors.